The Fitbit Ionic is Fitbit’s first ever entry in the smartwatch category, and was officially made available in Malaysia at the end of January. The Ionic focuses on fitness and exercise, and includes plenty of fitness capabilities including footstep tracking, sleep monitoring, and various exercise programmes. It has a solid build quality, and works great as a fitness tracker, but is limited in terms of smartwatch capabilities. Also, performance is hampered by a major sync issue. The smartwatch is currently available for an RRP of RM1,399 at authorised retailers nationwide. It was bound to happen—Fitbit have finally made their inevitable foray into smartwatch manufacturing*. After a slew of rumours, leaks, and their acquisition of Pebble, the San Francisco-based tech company’s attempt to penetrate the smartwatch market has culminated in the creation of the Fitbit Ionic. *Fitbit have created a wearable fitness watch before this—the Blaze. But while it had some smartwatch capabilities, Fitbit did not end up labelling it a proper smartwatch. The Fitbit Ionic is very much another fish in a sea of fitness-focused smartwatches, with others like the Samsung Gear Sport (which we recently reviewed) and the LG Watch Sport being part of the space. 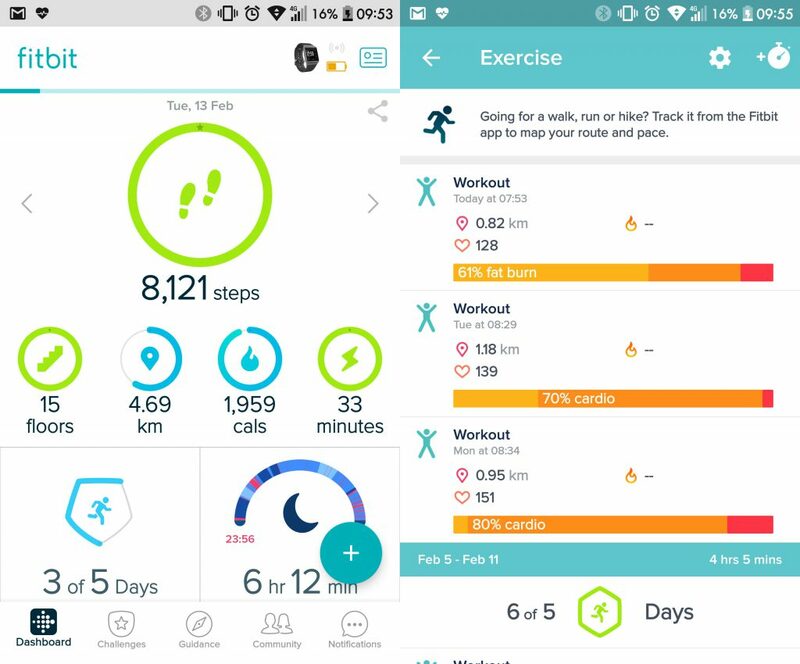 With a proprietary operating system and a solid fitness-tracking heritage to build upon, can the Ionic still find its place among the competition? I took it for a spin to see how it would fare in the wild. The Ionic has a futuristic, yet minimalistic aesthetic, with a square display centred between the silicone wristbands that had a nice snap-on/snap-off feature that made replacing them a pretty straightforward task (although I did receive one faulty strap that wouldn’t attach properly). 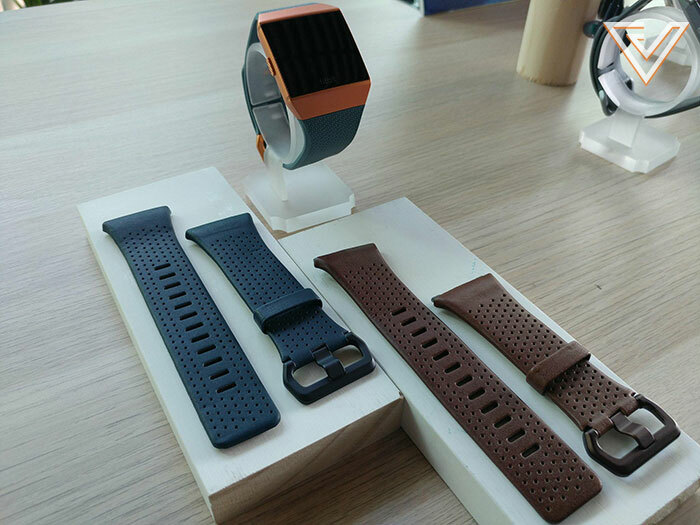 For those interested in replacing their straps with new ones, Fitbit offers different options to the original silicone strap, including designs in leather. Leather strap options are also available. The slim form factor of the Ionic made for easy wearing, and I found exercising with it to be a far more pleasant experience compared to when I reviewed the Samsung Gear Sport. 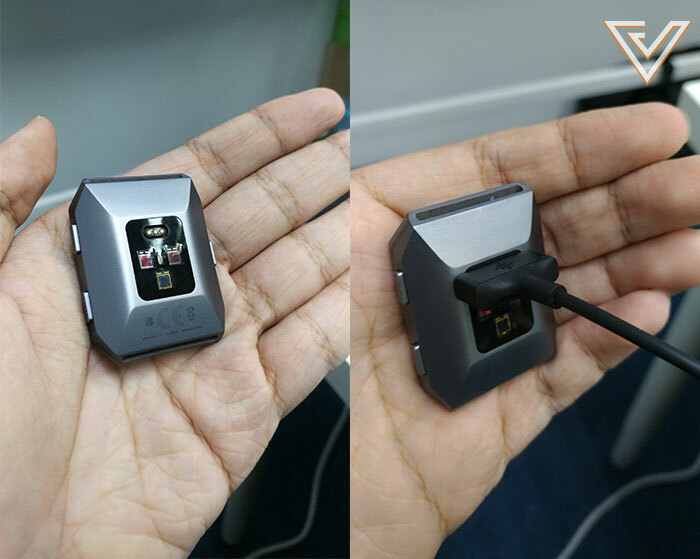 It possesses a water resistance of 50 metres, making it suitable for water activities, and charges through an included proprietary cable that ends in a USB connection. The 1.4 inch display is touch-sensitive and has three accompanying buttons to control the various functions, but through it all, I found myself longing for the Samsung Gear Sport’s rotating bezel. I still feel that it should be the standard on all current smartwatches. And compared to the Gear Sport, interactivity was considerably lower on the Ionic—there was far fewer things to swipe and toggle on the various menus. But I guess the minimalistic design of the Ionic fits in with its intent to be a smartwatch to encourage users to exercise more than do anything else. 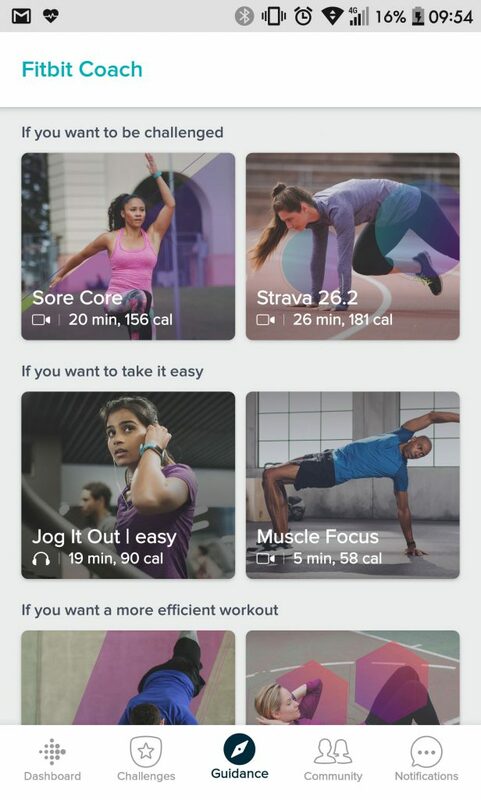 “We don’t want you to focus on pressing buttons on it, we want you to focus on actually exercising,” said a Fitbit representative at their launch event. As a fitness tracker, the Ionic was an unsurprisingly solid performer in almost all categories. When paired with the app, fitness tracking was comprehensive and fairly accurate, with the usual footstep count, heart rate, and sleep monitoring all present and accounted for. Fitness and workout tracking through the Fitbit app. 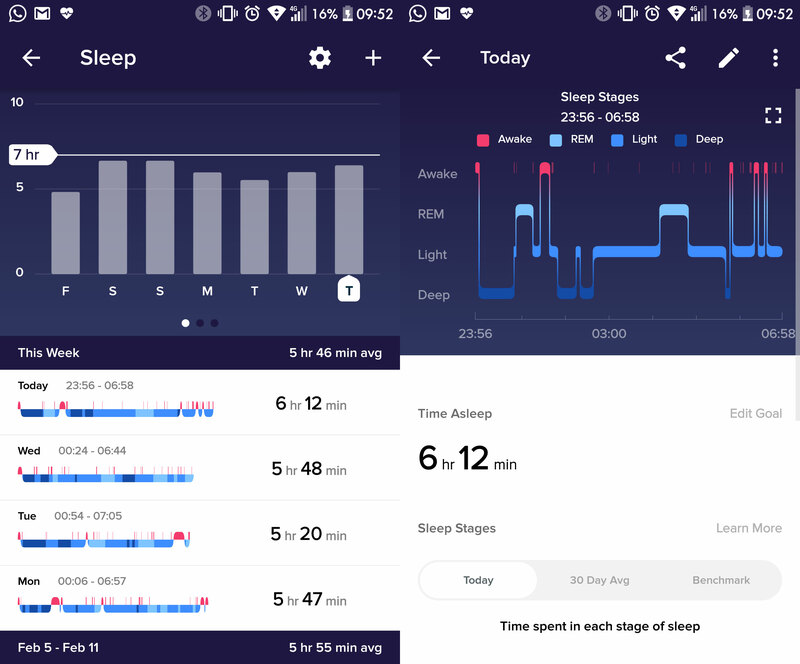 I was fairly impressed by the Ionic’s in-depth detail when it came to sleep monitoring. There were records of light sleep, REM sleep, deep sleep, and even the brief periods of restlessness throughout the night (although I’m still unsure of this feature’s accuracy as I don’t remember being intermittently awake for 48 minutes during one of the nights of testing, even though it recorded that much). Sleep monitoring was very detailed. The Fitbit Coach app was a bit of a letdown, though. The free version of the app is severely limited, and has too few workout programmes to choose from that it using it becomes repetitive quickly. And one particular drawback of the feature was the need to continuously rate each workout on the phone after I was done, making it troublesome to use. But this didn’t bother me all too much as my workouts are usually done autonomously anyway, and the other fitness tracking components were more than adequate for my use—again, they were detailed, mostly accurate, and the minimal options helped me stay focused instead of tossing more distractions my way. As a fitness tracker, the Ionic does the job, and does it well. Another thing I didn’t appreciate fitness-wise was the rigidity of the Ionic’s fitness tracker, which prevented me from manually inputting any information pertaining to workouts that I did without wearing the watch. This meant that I always had to be mindful to have the watch on before doing any exercise—something potential buyers might not like especially if they don’t have their watches on at all times of the day. I hope this gets remedied with a future update. As an everyday smartwatch companion, the Ionic was alright, but wasn’t as satisfactory in its performance as compared to its functionality as a fitness tracker, which I found was really quite flawless save for the minor restrictions. For starters, the Ionic does not come with a microphone (so no voice commands), nor does it come with an on-screen keyboard function. Using it without those features wasn’t that huge of a dealbreaker for me, if I were looking to use this watch just as advertised—more fitness, less unnecessary clutter. The Ionic’s battery life was a highlight; a 1.5 hour full charge was able to make it last for over 4 days with average use, making it one of the longer-lasting devices in its category. The Ionic charges through a proprietary charging port and cable that ends in a USB connection. Moving onto the negatives, I noticed a considerable delay when loading apps and watch faces, with some gestures proving unresponsive at times. This contributed to an overall sluggish feel that was compounded by the fact that WiFi was compulsory for receiving any downloads or updates, making it highly inconvenient when I found myself wanting to download and install new programmes or features on the go. The Fitbit Coach offers a wide array of workout programmes, BUT you have to pay for most of them. The selection of apps available for the Ionic were also sparse. However this is to be expected from a smartwatch with an operating system that’s still in its infancy. The lack of a Spotify for the time being might be a dealbreaker for some, but this is mitigated (only partially) by the option to insert your own music. The major drawback that I noticed however was a very serious syncing issue that often caused the Ionic to disconnect from my smartphone. I did some digging online and found that this problem was also common among other users. This was incredibly frustrating as I found plenty of my supposedly tracked fitness data missing from my records, and it was all because the Ionic had cut off from my smartphone and had stopped tracking data on multiple occasions. I managed to find a temporary fix to the issue by removing the device from my phone and adding it back again, but this causes any unsynced data to be lost, and isn’t an ideal solution in the long run. I’ve reached out to Fitbit to see whether or not they would be releasing a fix for this issue, and will update this piece should they decide to respond. While Fitbit’s first attempt at a smartwatch had much promise surrounding it pre-release, the actual product seems somewhat unpolished. 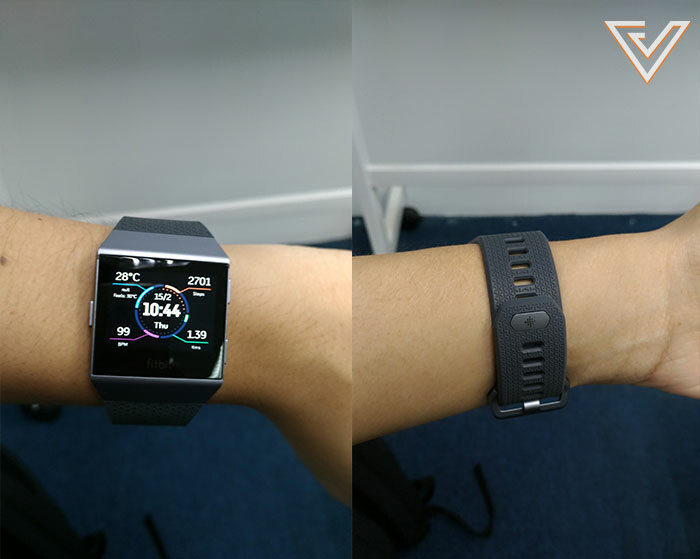 Comparing the Ionic to the previous fitness smartwatch I tested—the Samsung Gear Sport—I find it somewhat difficult to objectively recommend Fitbit’s device over Samsung’s, especially with its current flaws, and even more so when the Gear Sport retails for RM1,299, about RM100 less than the Ionic. Those interested in the Ionic should keep in mind that many of the drawbacks are software related and can be improved through future firmware updates. 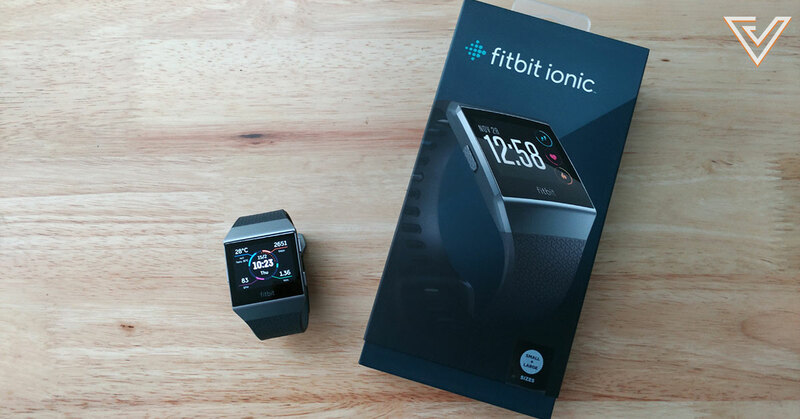 Avid fitness junkies who are in the market for a smartwatch with strong fitness tracker capabilities may still find the Ionic an option worth considering—provided that the software does improve over time. Personally, I found the Ionic to be very effective as a fitness tracker—which to me was its strongest suit and selling point in the first place. Despite its many flaws as a smartwatch, Fitbit’s expertise in fitness tech has managed to redeem the Ionic (for me at least), and I rate it as one of the best trackers that I have used thus far. And if Fitbit fixes up all its flaws, we might have a real winner on our hands (pun intended).